Garden Centre success for Shelving Solutions! Shelving Solutions is delighted to announce that it completed its first project with family owned Garden Centre chain Hilliers Nurseries. The project was a shelving supply & installation (also including frieze manufacture and fitting) at the companies Eastbourne Branch. Working together with the other members of Total Design Group the shelving and associated works was completed over 2 days and was brilliantly received by the client. Works also included relocating and fitting of POS material as per the client’s specification. This initial collaboration has furthered the company’s relationship and is due to extend into Hilliers Estate. 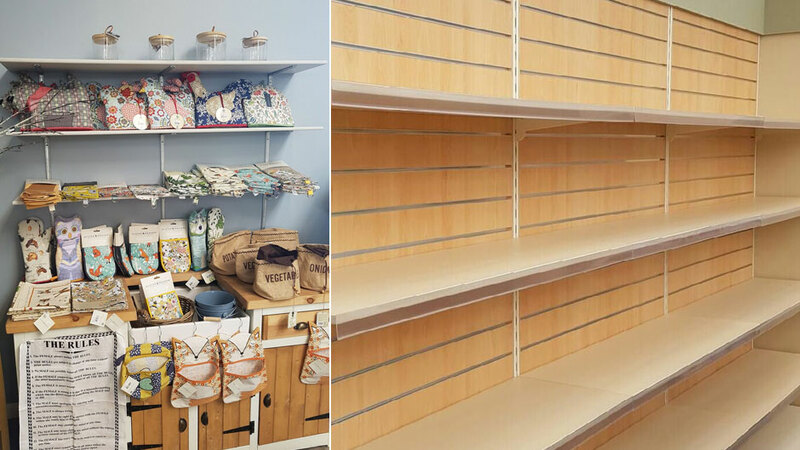 Using its extensive knowledge of the blending of metal shelving and timber finishing Shelving Solutions has the ability to deliver striking and flexible displays for a variety of situations.